Number of Shares: 1986 M.
AFFIN Holdings Berhad (AHB) was incorporated in Malaysia on 31 May 1975 as a private limited company under the name of I.M.A Sdn Bhd. It started off as a credit company providing hire-purchase financing for motor vehicles. On 15 September 1978, it changed its name to AFFIN Motor and Credit Finance (Malaysia) Sdn Bhd. 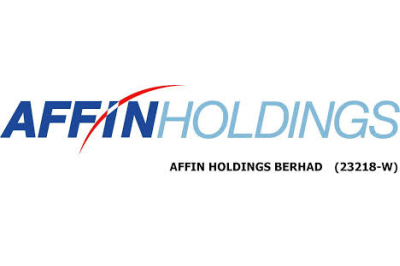 Subsequently it changed its name again to AFFIN Credit (Malaysia) Sdn Bhd on 16 January 1979 and thereafter to AFFIN Holdings Sdn Bhd on 2 March 1991. It was converted into a public company under its present name on 6 May 1991. In the last decade, AHB has changed substantially in terms of group organisation structure through a series of mergers and acquisitions which had been undertaken to facilitate AHB's status as the flagship financial services subsidiary of its major shareholder, Lembaga Tabung Angkatan Tentera (LTAT).